Business and corporate litigation issues can be incredibly complicated, time-consuming, and frustrating. Deadlines are critical. Mistakes are costly. To make things a little easier for you, we have provided some answers to the more common questions we hear about in this area of law. But do not allow this FAQ to be your only source of information about business and commercial litigation. Call us directly at 303-792-5595 or fill out a Free Case Evaluation form so that we can discuss the finer points of your particular case. Our Colorado commercial litigation lawyers are here to help. What fee arrangements do you offer? Combinations of these types of fee arrangements. “Time based” arrangements include a fee that is determined by the amount of time involved in handling you case, such as a set amount billed hourly, daily or weekly. “Fixed” arrangements involve a fee that is based on a predetermined amount regardless of the time or effort involved – or the result obtained. “Contingent” arrangements are designed around an established percentage or amount that is payable only upon attaining a recovery, regardless of the amount of time or effort involved. Whichever fee arrangement is used, rest assured that we will work with you to arrive at the most appropriate fee schedule for your particular case. Call us today at 303-792-5595 so we can discuss your options. 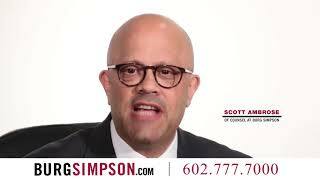 Does Burg Simpson represent both plaintiffs and defendants? Yes, just not at the same time. All too often in a commercial litigation case, both the plaintiff and the defendant are in similar situations. Typically, Burg Simpson acts as a plaintiff’s firm for traditional tort (wrongdoing) claims, so we are uniquely position to represent you aggressively in your business disputes. Because of our extensive experience, a deep personal commitment to our clients, and a passion for what we do, we are able to forge and maintain strong client relationships. Does Burg Simpson take cases to trial or settle them? 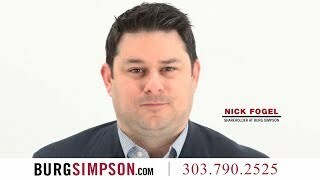 Traditionally, Burg Simpson is a trial firm. We try cases and our opponents know both our trial skills and the tenacity we display when we use them. We have learned over the years that the best settlements are reached when the opposing party knows we are ready and willing to go to all the way to trial. 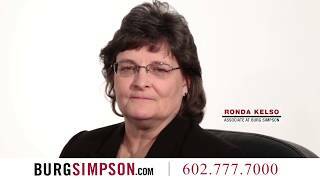 We are the “go to” firm for complicated cases that are often difficult to resolve. That does not mean we are not committed to finding creative solutions to secure the best possible result for our clients at the most reasonable cost. Does Burg Simpson have sufficient resources to handle sophisticated business disputes? Yes. We have substantial resources, more than 60 attorneys and dozens of skilled paralegals. We also have the decades of experience to handle the most complicated of cases. For example, we have tried securities cases, contract cases, business tort cases, as well as land use and zoning cases valued in the tens of millions of dollars. We are also trained and experienced in handling cases at both state and federal levels. Contact us today! Do you have any tips for businesses to avoid or prepare for litigation? Work with competent transactional counsel when forming your company. Give considerable thought and discussion to how you establish your business so that your most important assets are protected. Additionally, it is never too early to start thinking about – and planning – your exit strategy, especially if you are setting up a joint venture. Everything should be in writing. This includes good faith ethical standards, compliance programs, and retention policies. This could be detailed policies and procedures governing the hiring and termination of employees, for example. Consult with your insurance broker regularly to ensure you have the appropriate policies and that they are up to date. Make sure your records are detailed and meticulous – and not just of major agreements, but of things as minor as everyday correspondence and meeting notes. This practice alone can head off most business disputes. Rely on your counsel when pursing any acquisitions, sales, or business deals. If you are in the process of setting up a business, negotiating the purchase of a company, or simply caught up in a contract dispute, call the Colorado bad faith insurance attorneys at Burg Simpson today at 303-792-5595 to find out how we can help you and discuss your case FREE.